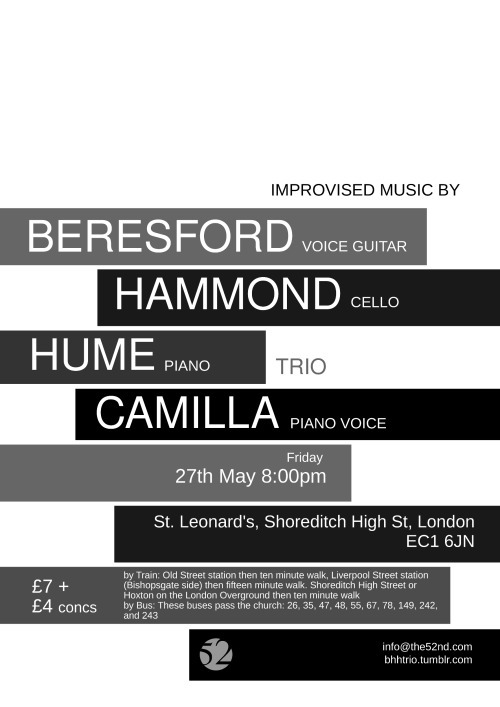 New trio project with Charlie Beresford (guitar/voice) and Sonia Hammond (cello). Album ‘The Lightning Bell’ on the 52nd out on 12th June. You can pre-order it here.